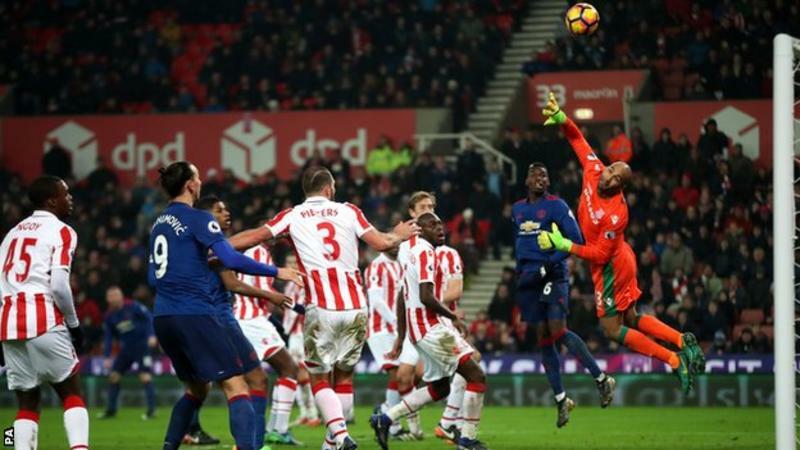 Wayne Rooney became United's all time leading goalscorer with a stunning free-kick deep into injury time to rescue a point at Stoke. We wasted chances, hit the woodwork and, not for the first time this term, were repeatedly denied by an impressive opposition keeper. Our 25th and final effort of the contest finally provided the goal that ensured our long unbeaten run remains intact - albeit if the dropped points see us lose ground in the congested battle for a top four place. Mark Hughes side had frustrated the Reds in October's reverse fixture at Old Trafford and looked set to do so again after Juan Mata's unfortunate first half own goal. United - unbeaten in seventeen matches in a run that stretches back to November - dominated the second half and Rooney - who had come off the bench - popped up with his decisive and historic 250th United strike in the dying minutes. It was one of his best too, an unstoppable free-kick wide on the left that he blasted over the wall and beyond Grant with a wonderful, dipping, right-footed strike. United started slowly but gradually exerted themselves on the game and deserved a point for their second half efforts. Grant fumbled an early Ander Herrera free-kick, but the hosts took the lead out of nothing with their first attack on 19 minutes. Erik Pieters low cross evaded everyone until it deflected off Mata and nestled in under David de Gea. United responded well and went close twice in as many minutes when Marouane Fellaini headed straight at Grant and Mata then missed a sitter. Zlatan Ibrahimovic picked out the Spaniard who should have made amends for his inadvertent error but he could only fire over from six yards. Grant, mightily impressive in that Old Trafford meeting, was then called into action to keep out Fellaini before he pawed away Paul Pogba's piledriver from distance. On the hour mark, strong penalty appeals were waved away by referee Mark Clattenburg after Mata's shot from Pogba's cut-back struck the hand of the sprawling Glenn Whelan. At the other end, De Gea saved well from Xherdan Shaqiri in a rare foray forward from the hosts. The Reds laid siege to the Potters goal which lived a charmed life as substitute Jesse Lingard rattled the bar and Marcus Rashford flashed an effort inches wide. Pogba cracked an effort narrowly off target after nice link up with Rooney as Stoke sat deep and continued to keep United at bay. The pressure eventually told, however, as Wayne came up with a captain's goal with the last action to preserve a point and eclipse Sir Bobby's long standing record.